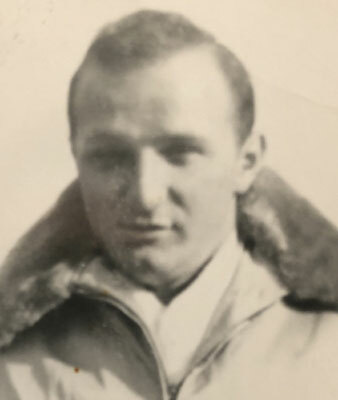 YOUNGSTOWN - A Mass of Christian Burial will be held Tuesday at 10 a.m. at Our Lady of Sorrows Parish, St. Cyril and Methodius Church for John R. Perry, 95, who passed away Friday morning at Sunrise of Poland. John was born Oct. 5, 1923, in Youngstown, a son of the late Patsy and Martha (Purfy) Perry. John attended East High School. He served his country in the U.S. Army during World War II. John was stationed in Berlin Germany and helped liberate a Concentration Camp . He retired in 1985 from Republic Steel/LTV as a crane operator for 21 years. John was member of the YMCA, and the VFW. He was an avid Cleveland Browns fan and enjoyed going to casinos, listening to music in the park and watching football and baseball. John leaves his two sons, Kenneth Perry of Boardman and Glenn Perry of Florida; four grandchildren, Trina (Jeff) Anders, Chris (Kathy) Perry, Amy (Ronald) Green and Ryan Perry; and six great-grandchildren, Sarah Perry, Paige Molina, Christopher Perry, Shane Perry, Jace Anders, and Julien Anders. John was also preceded in death by his brother, Anthony Perry. Family and friends may call Tuesday from 9 to 9:45 a.m. at the church. Professional arrangements are being handled by the Higgins-Reardon Funeral Homes, Boardman-Canfield.